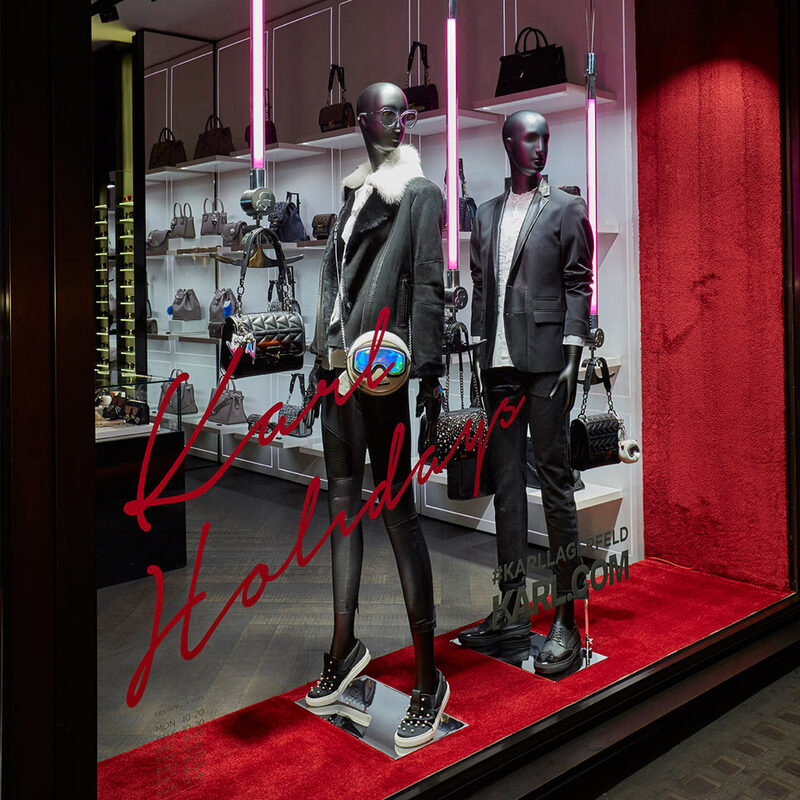 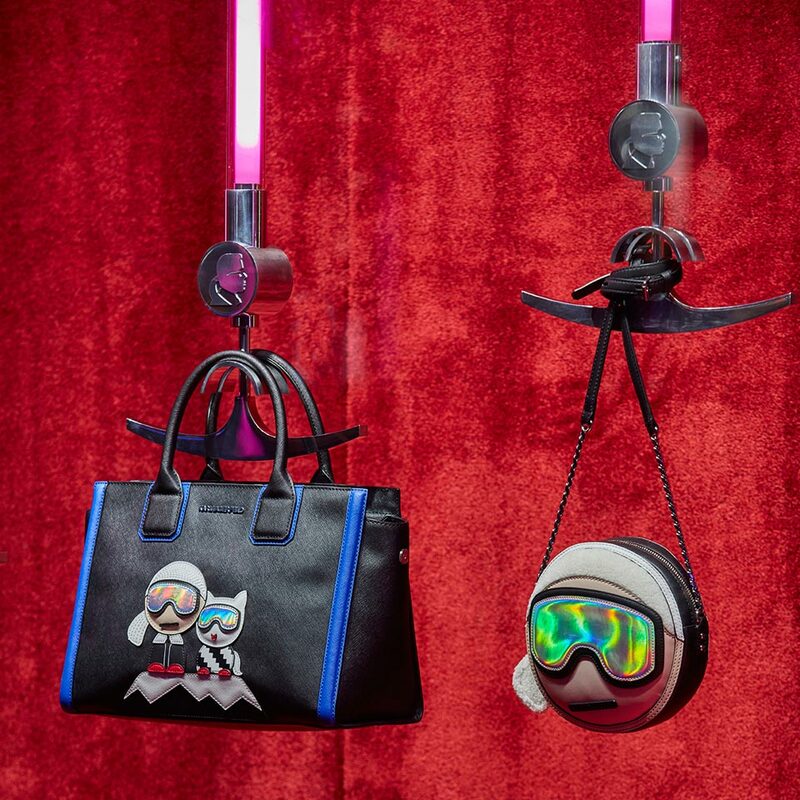 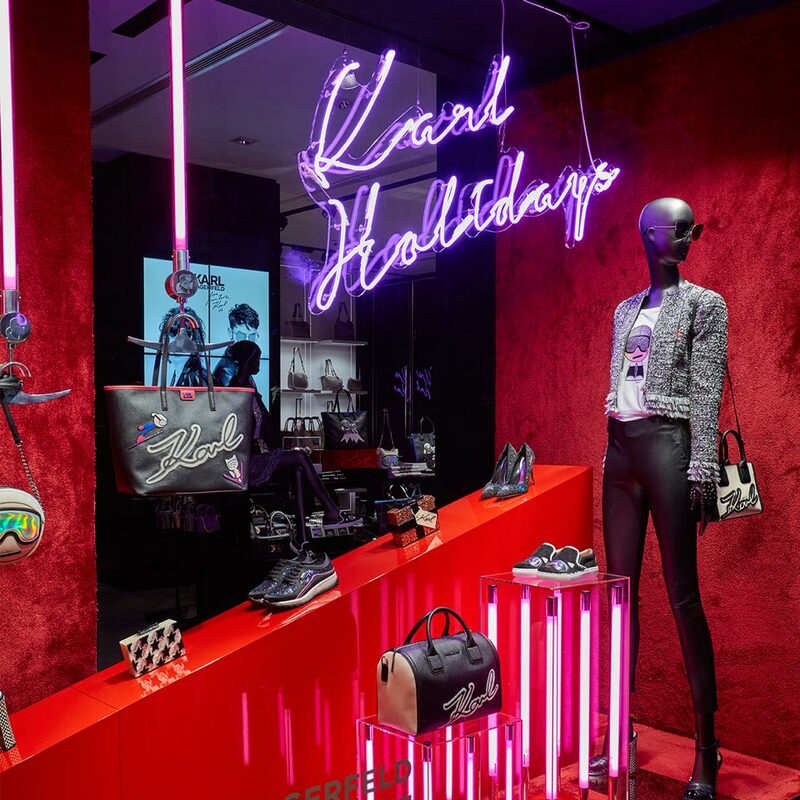 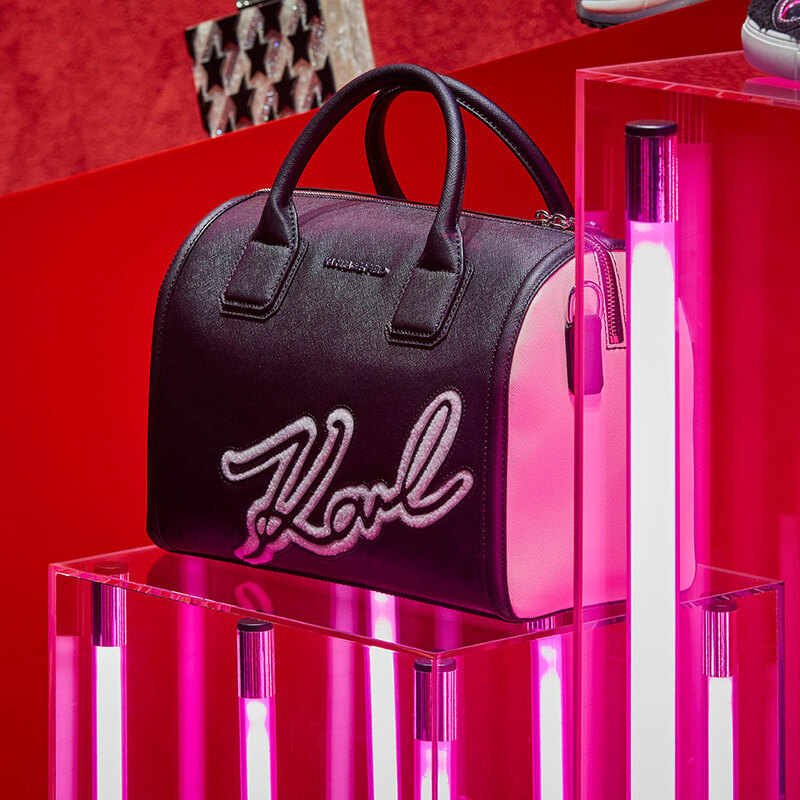 Inspired by their ‘Karl Holiday’ collection which features the illustration of Karl and his cat going skiing in the snowy mountains, Harlequin created a stylised mountain with luxurious lifts to display the new season collection. 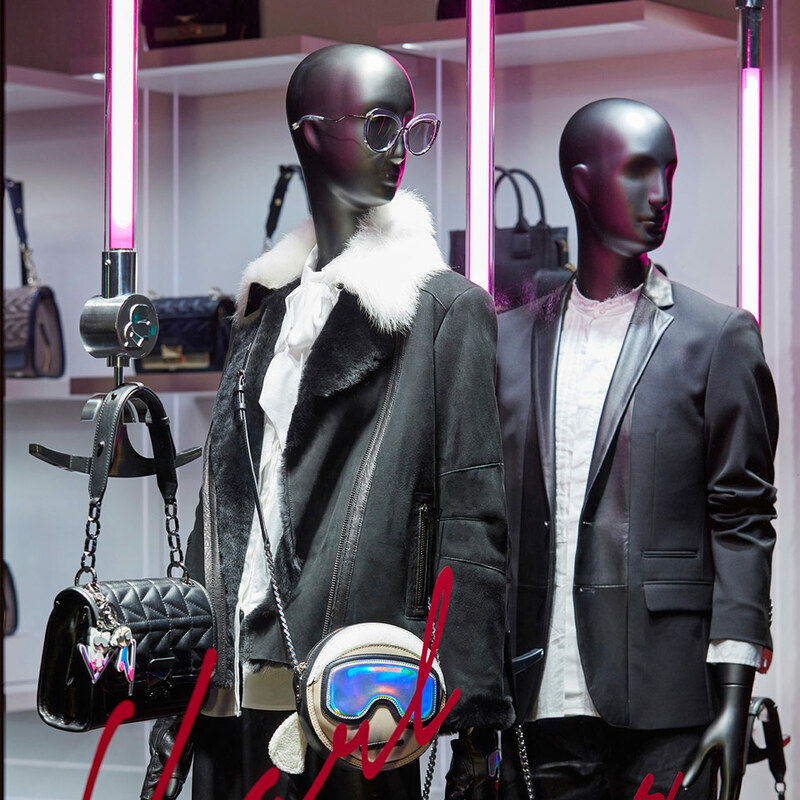 Rich red carpet texture and pink neon add a high fashion feel and make this scheme stand out from the rest! 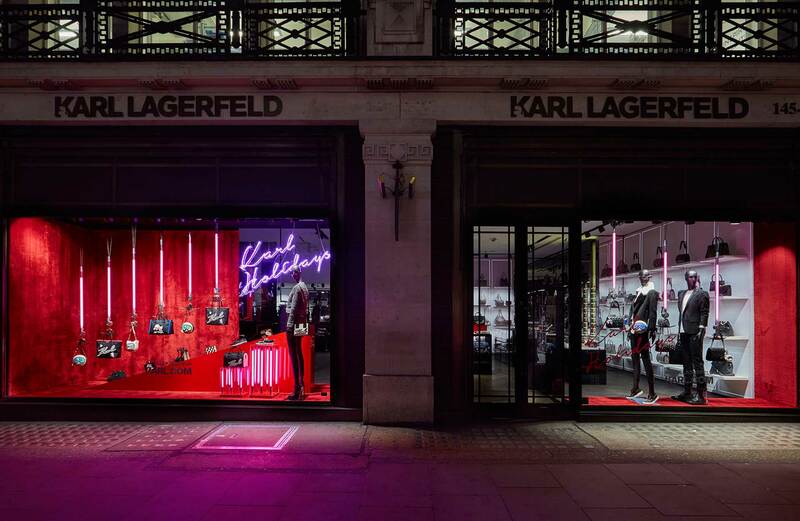 Installed across 15 stores in the UK & Europe.